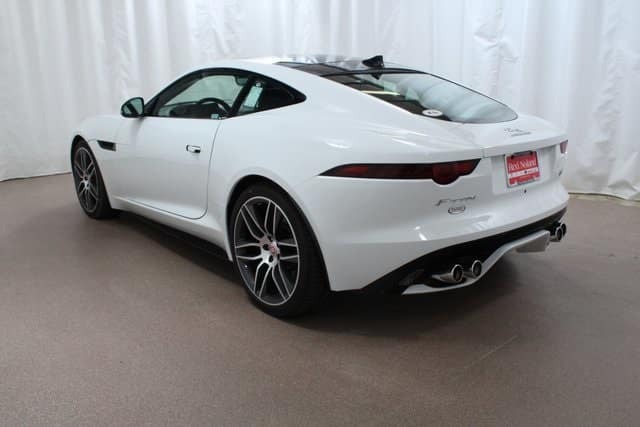 Jaguar Colorado Springs has a variety of top-of-the-line Jaguar vehicles available including this phenomenal 2018 Jaguar F-TYPE. This beauty is summertime car show ready! This luxury coupe is just over $110,000 and ready for a you to drive home. Equipped with a 5.0L V8 supercharged engine, you can expect an estimated 15 MPG city/23 MPG highway. Plus, you get wonderful luxury features too including 2-zone climate control, Navigation system, Smart device integration, rain detecting windshield wipers, Bluetooth connectivity, and rearview camera. If you are ready to upgrade to spectacular luxury, this 2018 Jaguar F-TYPE coupe is perfect for you! Visit Jaguar Colorado Springs today and let us introduce you to this amazing vehicle. Our Jaguar experts can tell you all about the innovative features and impressive performance you can expect from this F-TYPE.